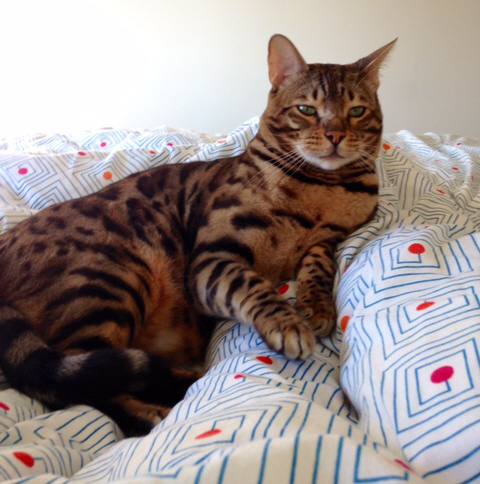 Buddy is a 5 year old Bengal named Buddy. 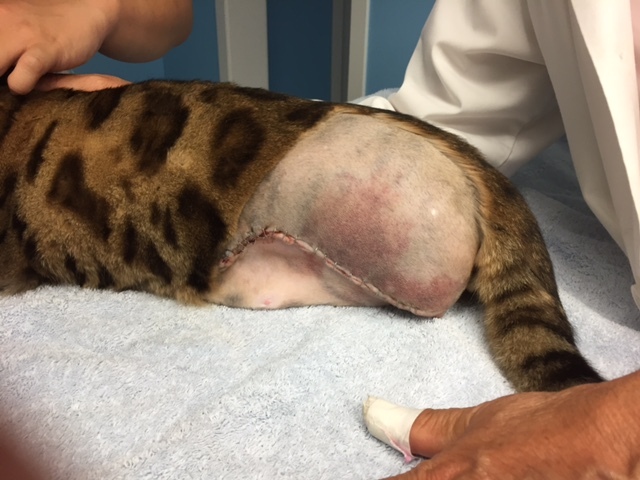 He was attacked by a coyote and needed surgery to repair the bite wound and a dislocated hock joint. 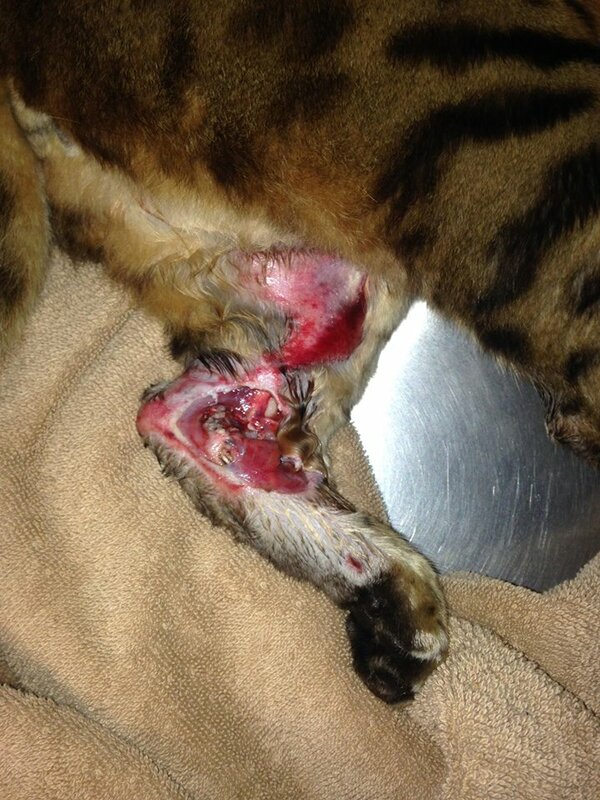 The prognosis looked good, but unfortunately the infection had spread and the specialist along with our own medical consult, Dr. Walton felt an amputation was in Buddy’s best interest. Animals are amazing as we all know and can manage quite well after an amputation. 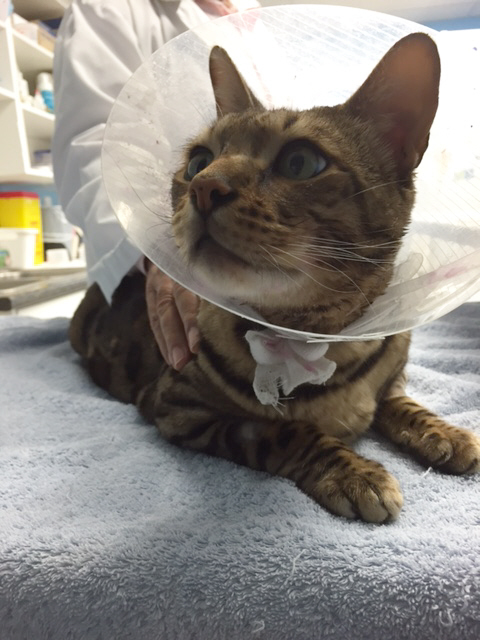 Buddy was home within a few days, but being a rambunctious Bengal he went back to hospital for a few days extra days to ensure he rested and started his recovery out right. 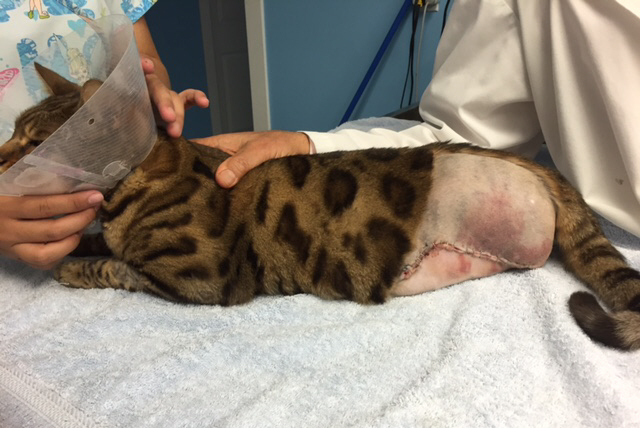 Once again, Dr. Sidhu, of Central Park Animal Hospital, who has a heart of gold went that extra mile, and along with your support Buddy received a second chance and kept the family together. Buddy is reported to be doing great!